Cinco de Mayo is right around the corner, and we’re celebrating with a taste of the tropics! This Easy Pineapple Salsa is packed with sweet pineapple, spicy pepper, and juicy tomatoes. And with only eight ingredients, you’ll have this delicious pineapple salsa ready in no time. Making your own salsa is so easy and gives you phenomenally better salsa than any store-bought ever could. 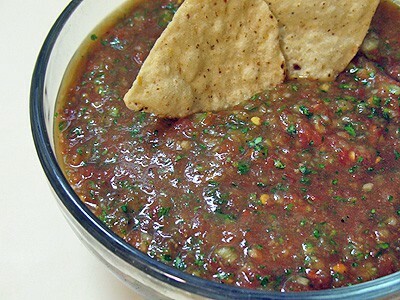 A simple combination of tomatoes, onions, peppers, and seasoning and there you have it, salsa! But throw in sweet pineapple and golly gee…you’ll be on cloud nine of the salsa world. 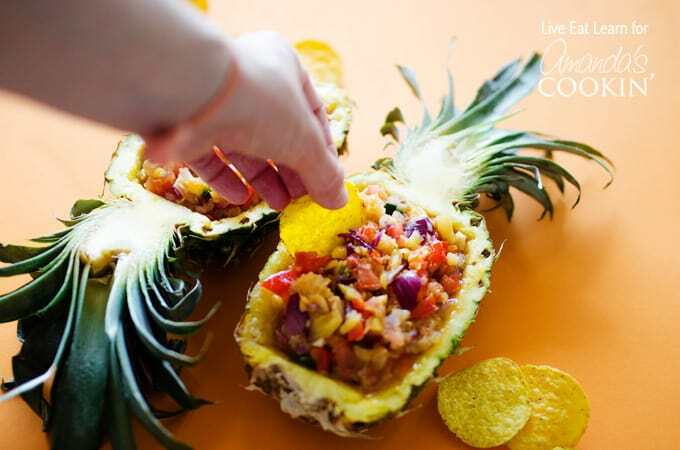 And so today, in preparation for Cinco de Mayo, we’re making Easy Pineapple Salsa. This recipe doesn’t include cilantro (coriander) which many people (including my chief recipe eater) dislike. But if you have it and you like it, throw a few snips in! And if you’re aiming for “Most Impressive Dish at the Neighborhood Get Together”, definitely serve this salsa in a pineapple boat. 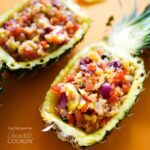 Simply cut the pineapple in half, gently cut out the edible fruit, then spoon in your salsa. As they say in Spanish, buen apetito! 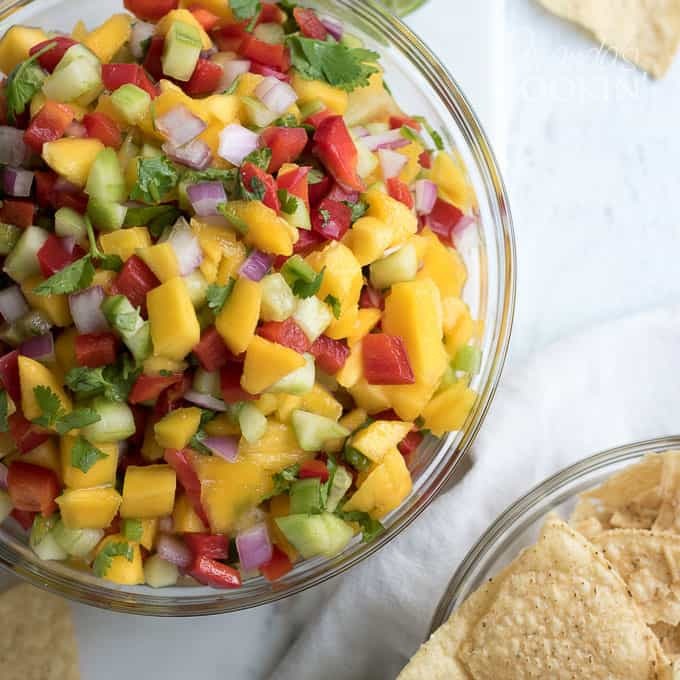 Mango salsa was a huge hit last time I brought it to a party. People wouldn’t stop asking for the recipe, so I decided to finally post it on the blog! You won’t be disappointed with this fresh spin on salsa, and neither will your guests. 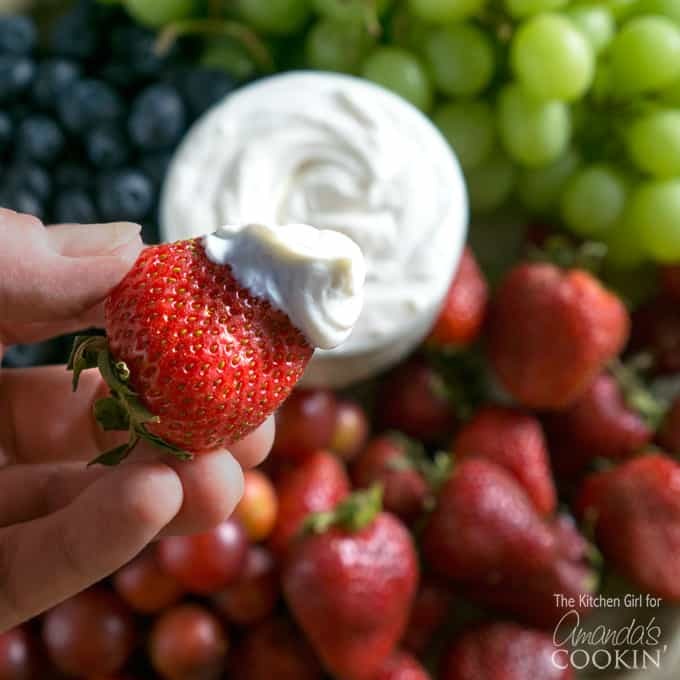 Cream Cheese Fruit dip is the perfect summer recipe. Whether you’re having friends over or heading to a cookout, this fruit dip is a great dish to bring along! 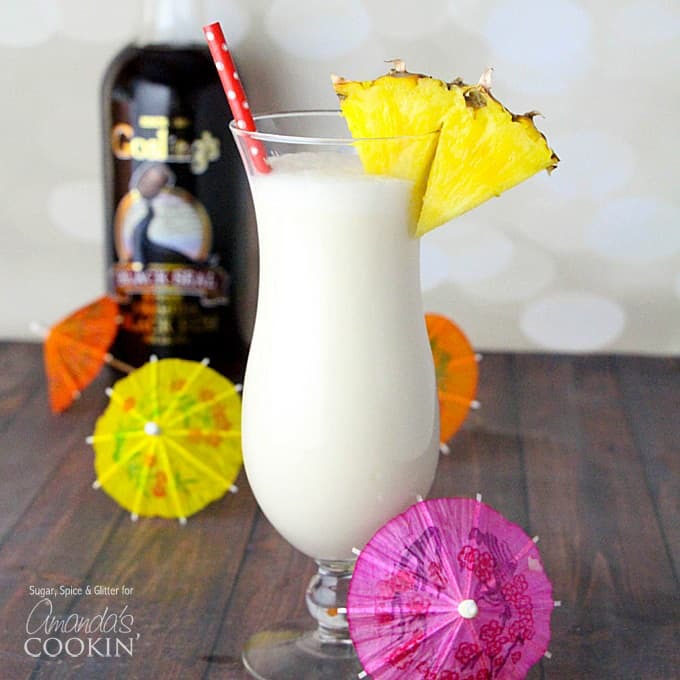 What better way to celebrate summer than with this classic blended Pina Colada recipe? Perfect for BBQ’s, potlucks, 4th of July or just about any time you want to wind down and relax with a delicious drink. 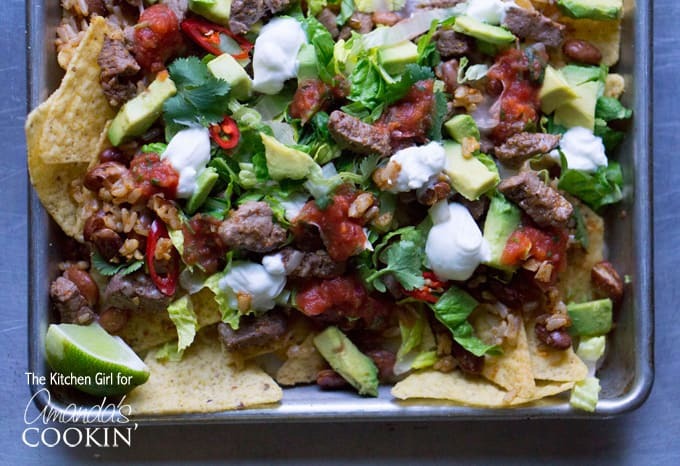 These gorgeous Filet Mignon Steak Nachos take advantage of some leftover steaks, but you could use any type of steak. It doesn’t have to be filet mignon. Regardless of the steak you use, these nachos would be awesome with a Margarita or some Mexican Sangria! 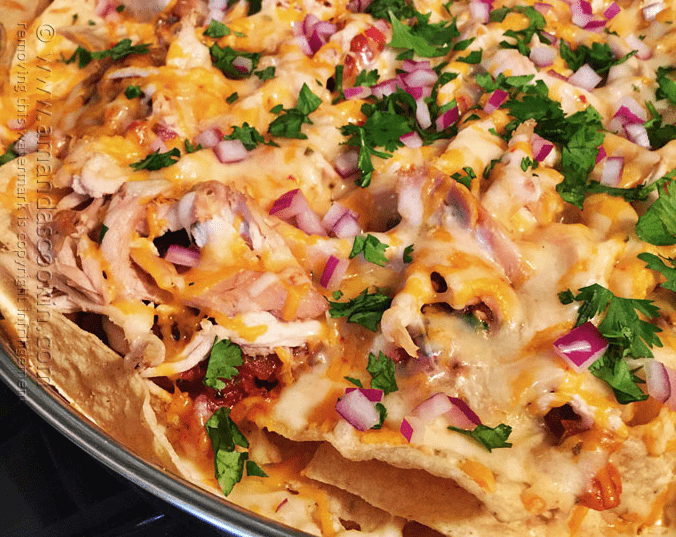 If it’s chicken that you prefer, these Rotisserie Chicken Nachos are easy to throw together and are truly a crowd pleaser. Grab a rotisserie chicken from the grocery store or use leftover chicken from your refrigerator. If you love the salsa you get at restaurants, you’ll be amazed at home easy it is to make Homemade Salsa from Canned Tomatoes. Just drop the ingredients into a food processor or a blender and enjoy! Looking for a sweet twist? 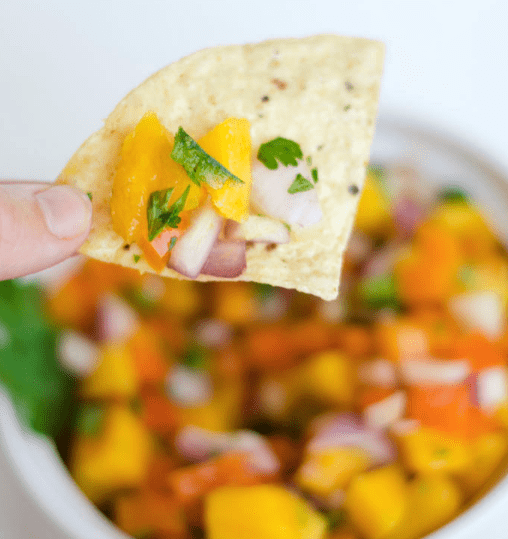 Try this Mango Salsa from Live Eat Learn. You’ll love the fresh fruit combined with other ingredients for a refreshing twist on this south of the border treat. 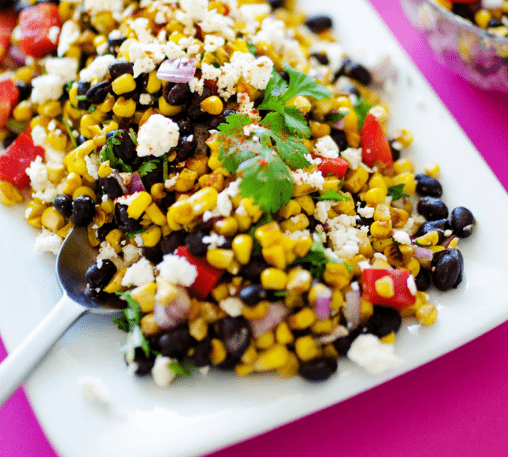 This colorful Mexican Street Corn Salad from Live Eat Learn is sure to be a crowd pleaser this Cinco de Mayo! Full of gorgeous fresh ingredients, your guest will find it hard to resist. Celebrate this Cinco de Mayo with a taste of the tropics! 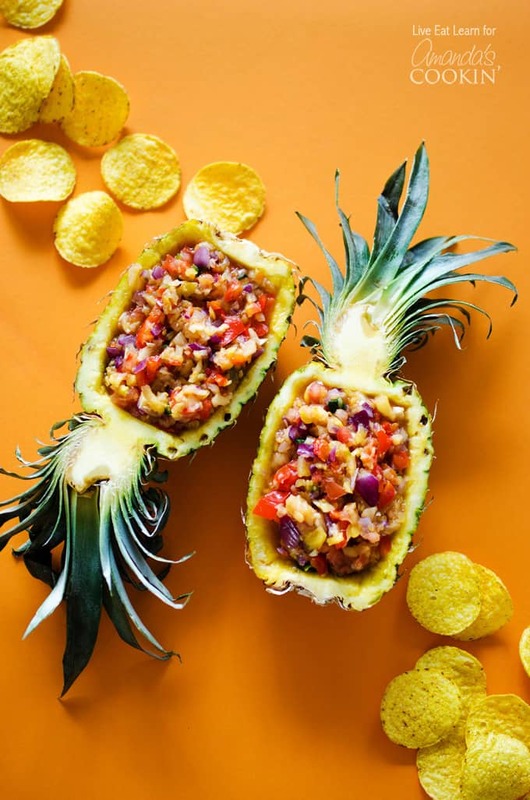 This Pineapple Salsa comes together quickly and is perfect with tortilla chips, on tacos, or in fajitas. Light up the grill (or a panini grill) and cook the pineapple, bell pepper, onion, and jalapeno over medium/high heat until slightly charred, 5 to 10 minutes. If you’re in a crunch for time, you can skip the grill and just chop everything together fresh! 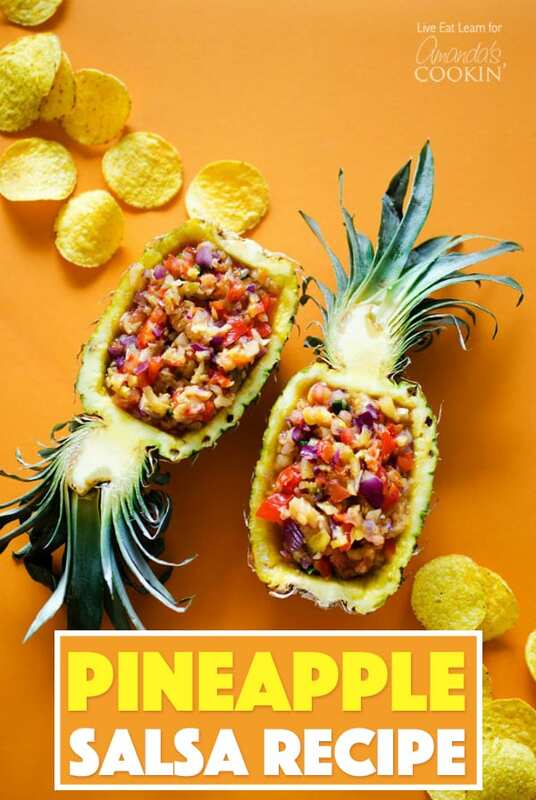 When I die I hope I’m buried in this pineapple salsa. Okay, maybe a little dramatic. But you get the point- this looks AMAZING! Ha ha! Definitely see what you mean! Thank you Dawn! 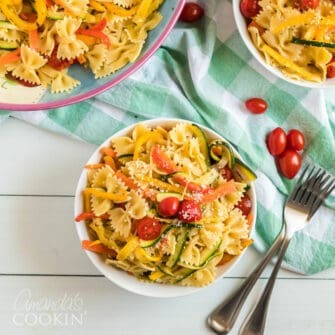 This recipe comes from Sara Bond, one of my contributors. I agree that it looks amazing! !